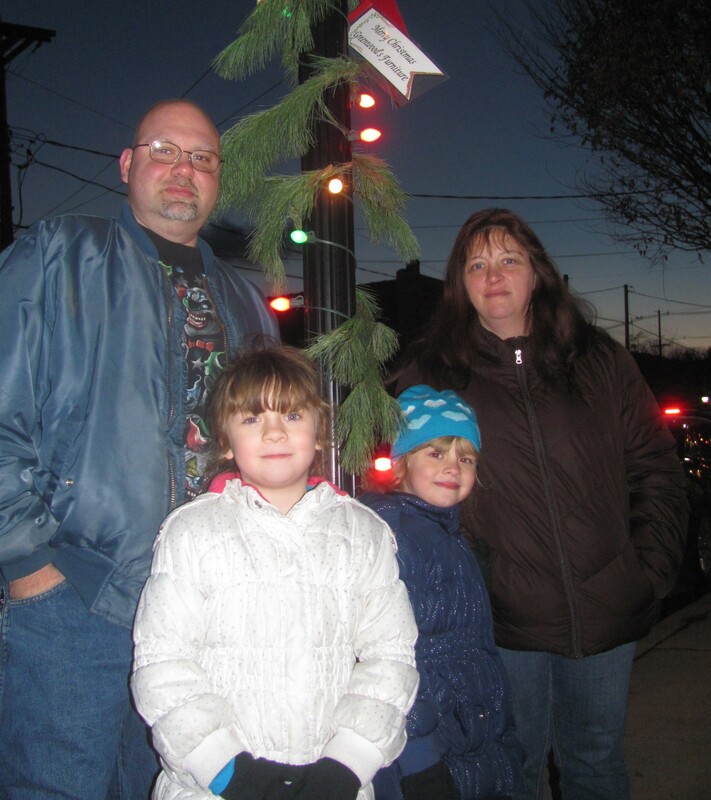 Youths from Whipple Performing Arts welcomed Santa and Mrs. Claus to Tunkhannock for the tree lighting ceremony. 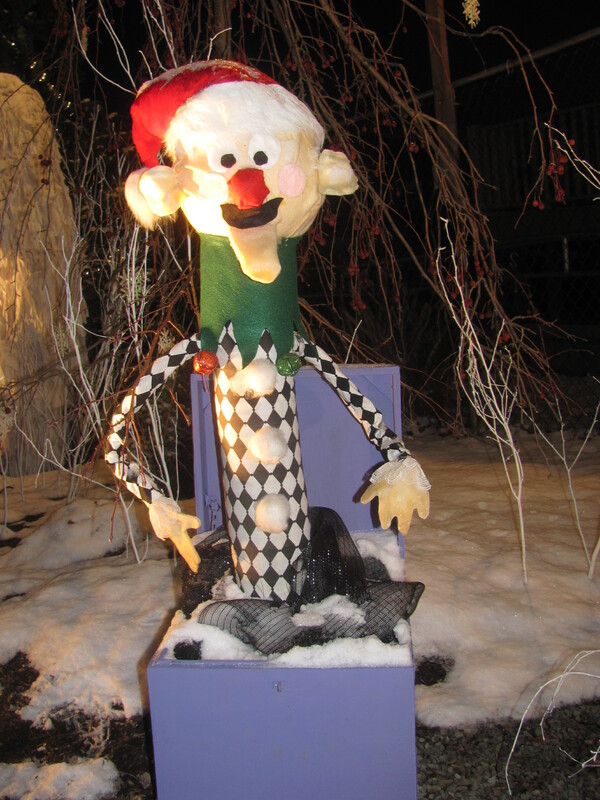 Organizers of Christmas in Our Hometown in Tunkhannock had good reason to be hopeful that Friday evening’s opening ceremonies would draw a good crowd, as light snow was predicted to start falling at the time Santa and Mrs. Claus were scheduled to arrive at People Neighborhood Bank by horse and wagon to flip the light on the large Christmas tree in the lawn there. Instead, eager children and their families were met by steady rain and intermittent stinging sleet. 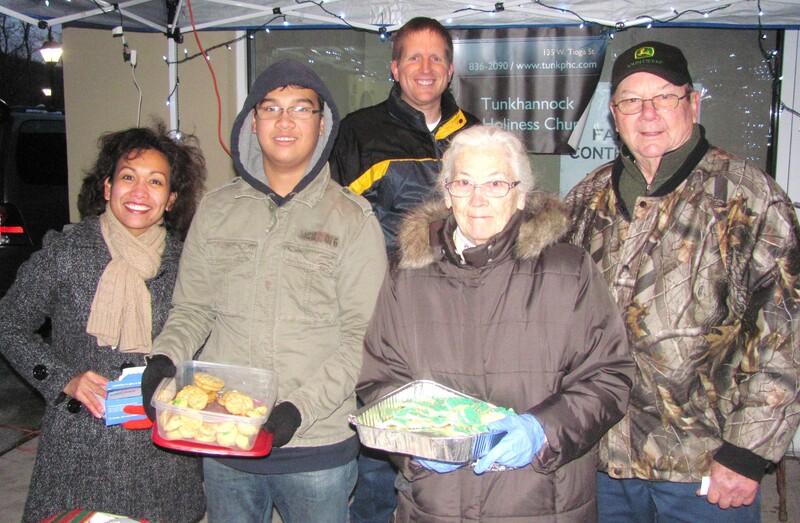 Church and civic groups and businesses along Tioga Street ignored the elements as they set of canopies from which they served hot chocolate, cider, eggnog, and cookies to patrons of the much-anticipated holiday event. Nonetheless, the Clauses arrived on time to the delight of a couple dozen brave soles huddled under umbrellas. WBRE TV returned for the tree lighting and conducted a live broadcast with the Clauses and representatives of the Tunkhannock Business and Professionals Association (TBPA), who coordinated Christmas in Our Hometown. 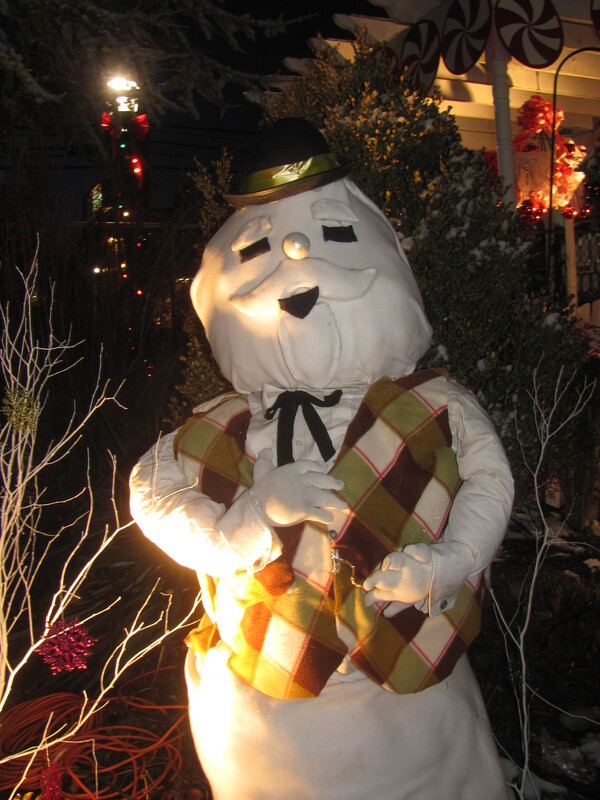 Determined to have a good time (and still thinking that the precipitation would soon change over to snow), the hearty patrons moved up Tioga Street and left onto Bridge Street from the bank and took in the fanciful holiday displays, activities, and programs that lined the thoroughfares. 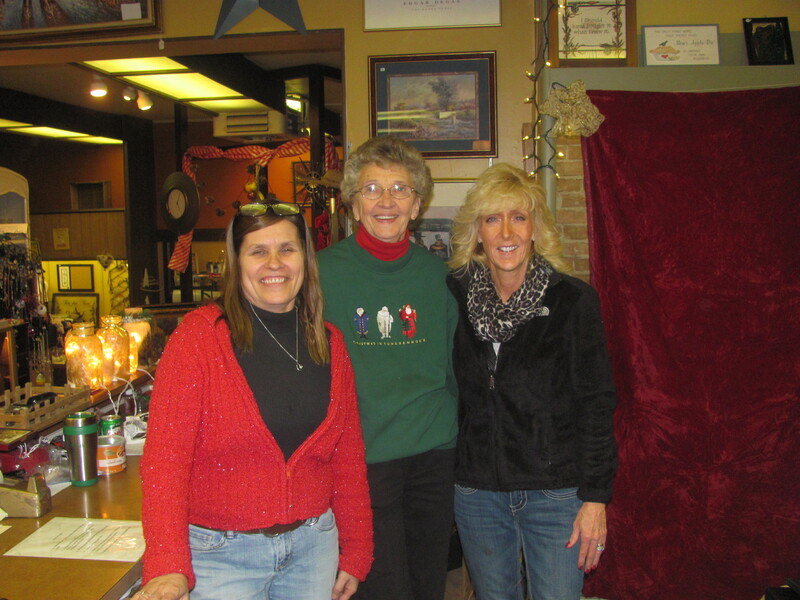 (Above) A festive storefront at Eclectic Heart Antiques & Furnishings drew patrons like Ali and Dierdre (upper right), who were greeted by shopkeepers (upper left) Gail Inman, Judy Mead, and Maureen Dispenza. Many shops filled up as local residents and visitors sought refuge from the rain. 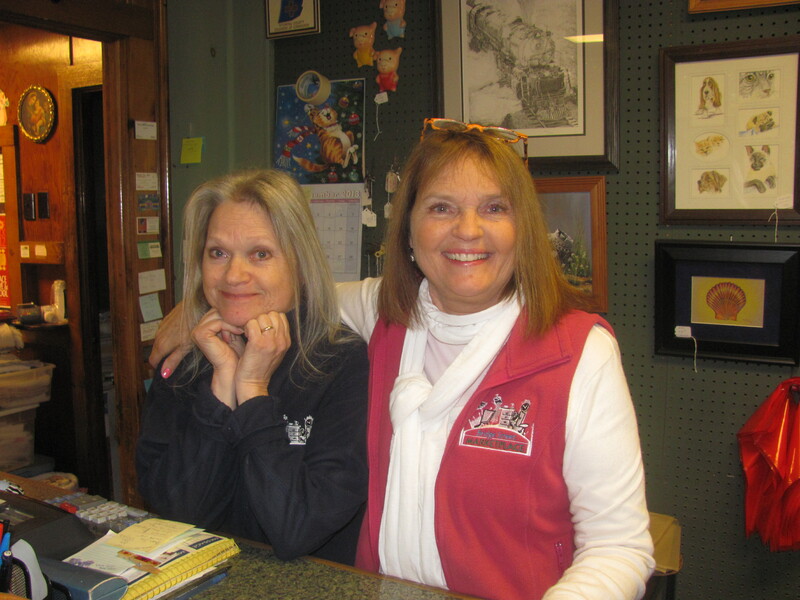 Shop keepers were happy to find that the limited number of patrons were still in the spirit to do some shopping. 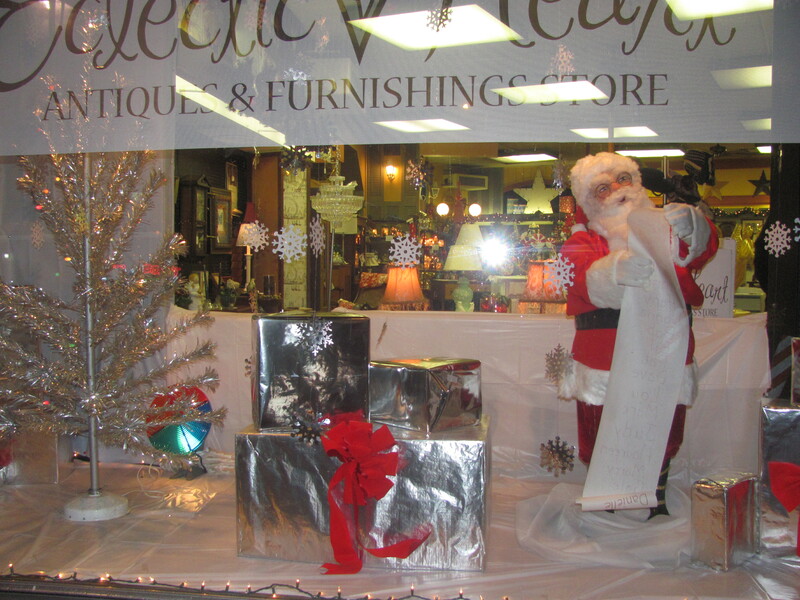 Between indoor stops, pedestrians took in living window displays that included the modeling of winter gowns at Something Blue Bridal Boutique and performances by students of Whipples Performing Arts in the window of Greenwood Furniture. 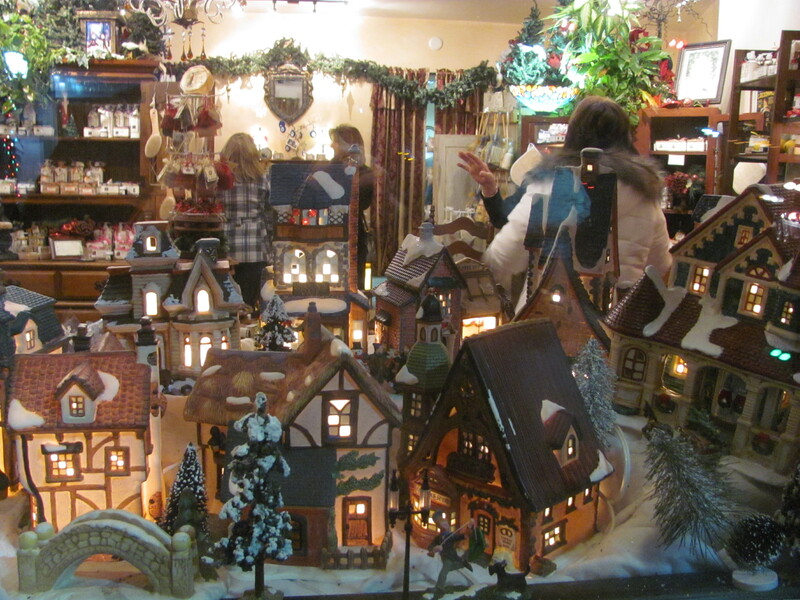 There were several Christmas villages set up at businesses along the north side of Tioga Street, including a display by the Endless Mountain Railroad Club at Robinson’s Martial Arts Institute. 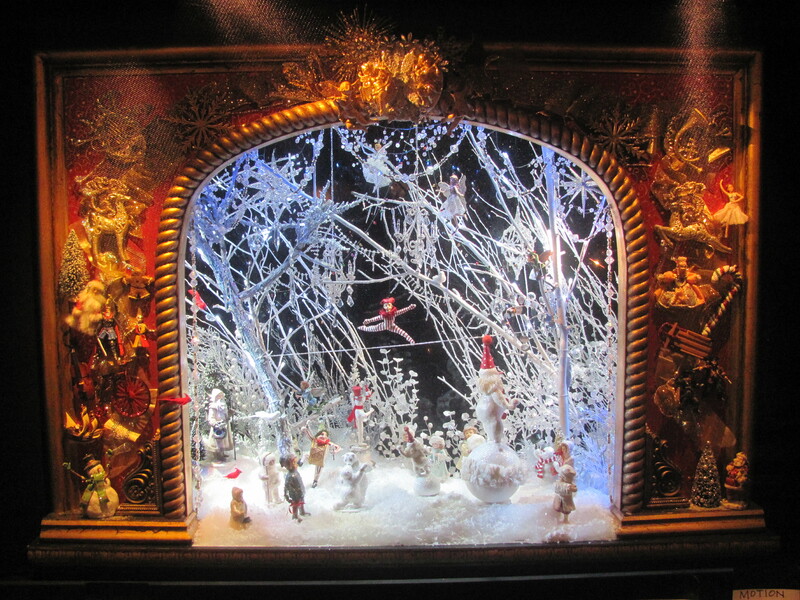 A whimsical Dickens Village display in the front window of Monzie’s Floral and Design deserved a second look. Miniature dinosaurs and other characters that had been placed into the scene were involved in some comical pursuits. 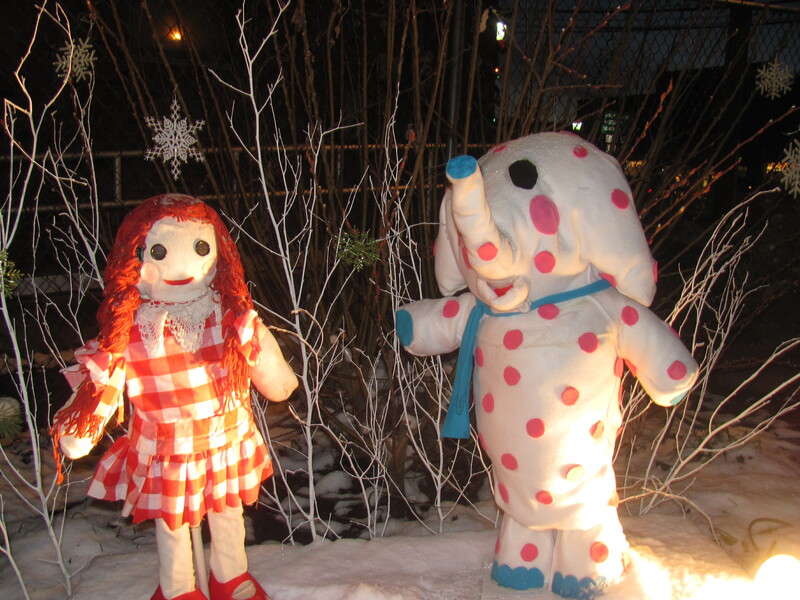 Across the street at the Dietrich Theater and Wyoming County Cultural Center, people were enchanted by the Victorian doll house, antique toys, and an interactive music box that depicted a circus in a winter woodland setting. The theater screened free movies for families and, on Saturday, conducted workshops and craft activities for children throughout the day. Fortunately, Christmas in Our Hometown is a two-day event, with the second evening more or less designed to mirror the opening night. Not everything was the same, especially the weather. 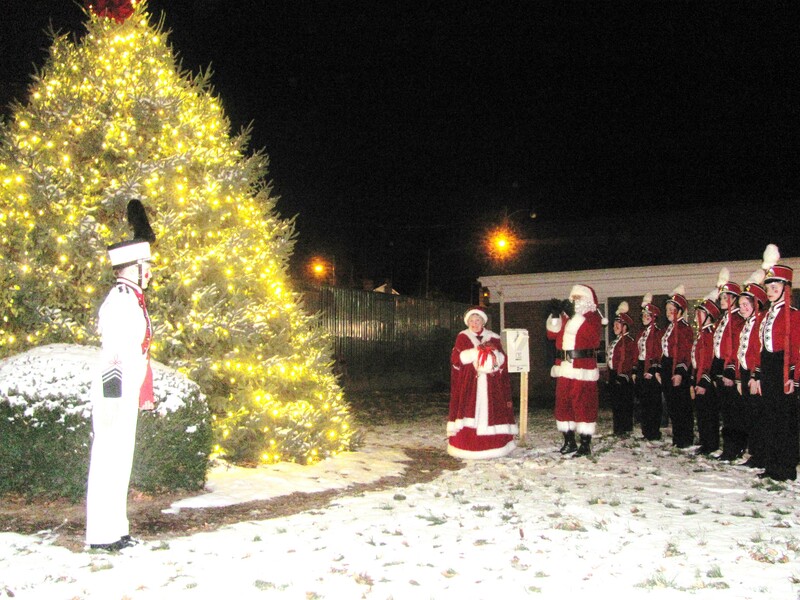 Saturday evening’s tree lighting ceremony kicked off a little late, but it was typically cold and dry, a change welcomed by Santa. 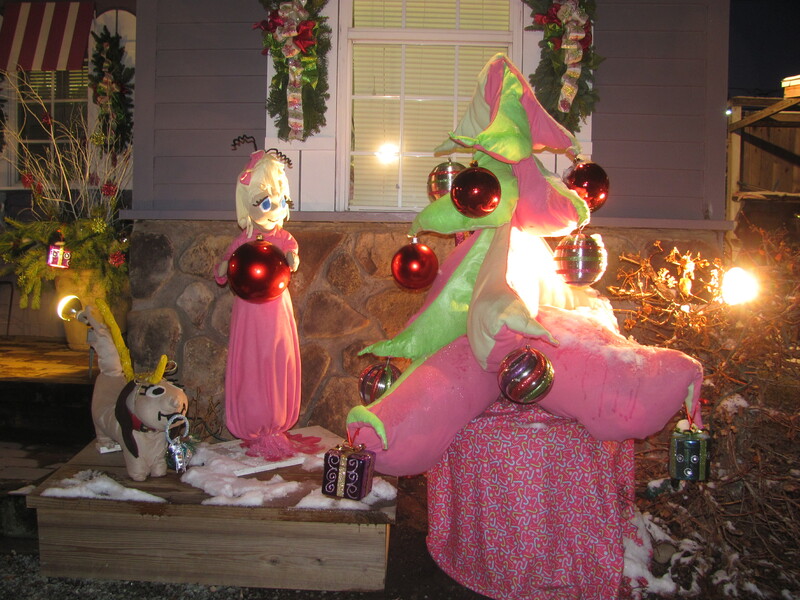 The previous night’s ice and wood carvings were also utilized by families for photos, and church groups were able to enact their live nativity exhibits without hindrance. 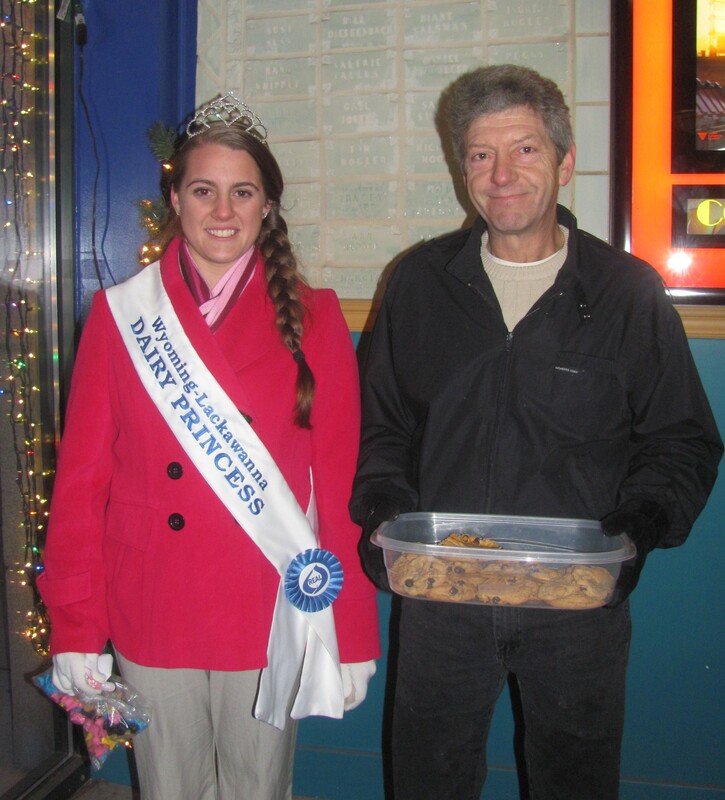 The Lackawanna-Wyoming Dairy Princess strolled Tioga Street with her father, passing out chocolate chip cookies. The holiday weekend event culminated with a well-attended music program sponsored by the Tunkhannock Public Library that was held at Tunkhannock Area High School on Sunday afternoon. 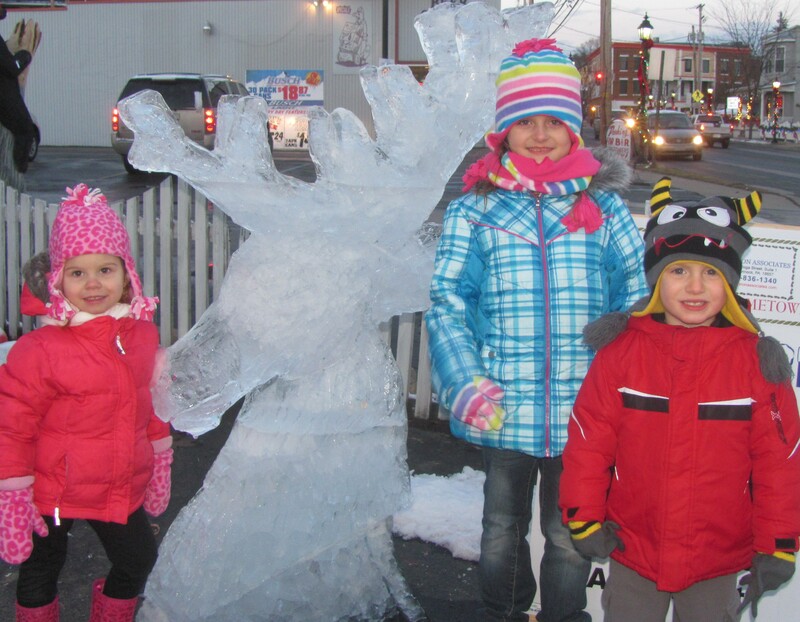 (Left Photo) The LoBuonos of Tunkhannock (front, from left) Rose and Faith and (back) Peter and Karolyn anxiously awaited Santa’s arrival in Tunkhannock on Saturday, and (Right Photo) Isabelle and Madison Spittel and Cameron Sokoloski from West Wyoming thought the ice carving of Rudolph the Red Nosed Reindeer was really cool. 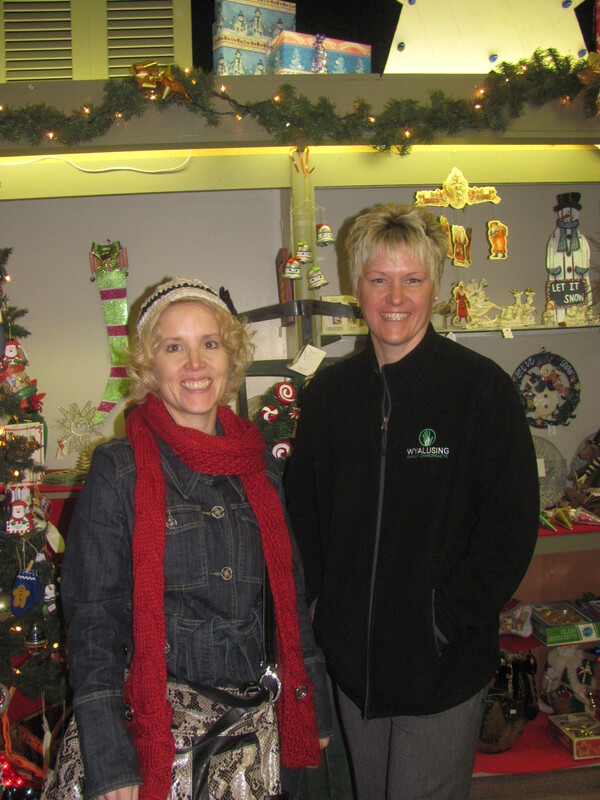 Church groups always play a big role in Christmas in Our Hometown. 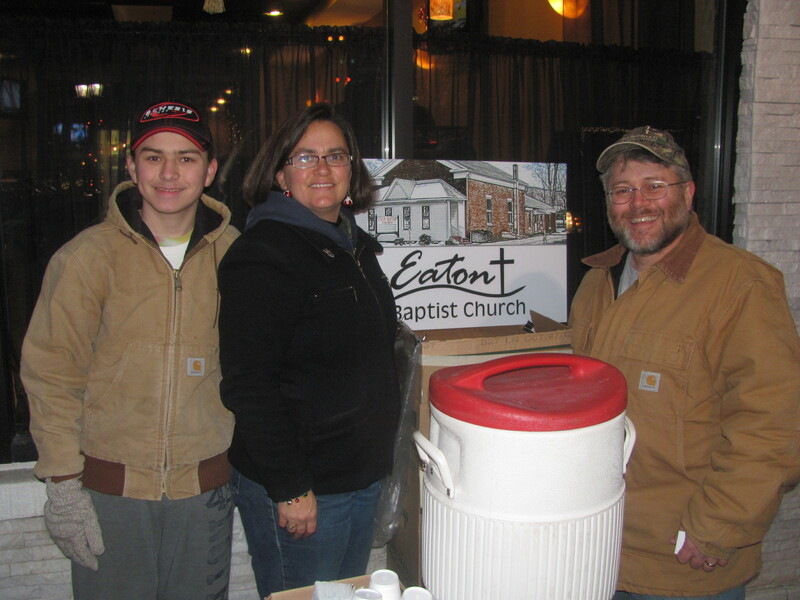 On the left, members of Eaton Baptist Church (from left) David, Kimberly, and Scott Teeters offered hot cranberry cider to passersby, and members of Tunkhannock Holiness Church (front, from left) Eppie and Junior Church, Sara and Carl Green and (back) Pastor Joel Byer handed out Christmas cookies. 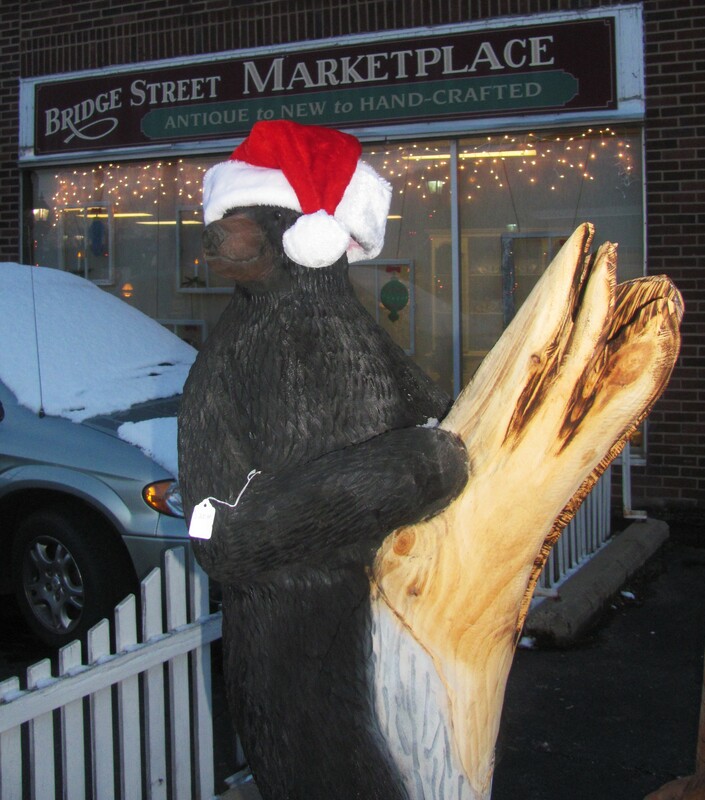 A carving of a black bear stood next to Bridge Street Marketplace, while shopkeepers Meg and Sam greeted patrons inside the antiques shop. 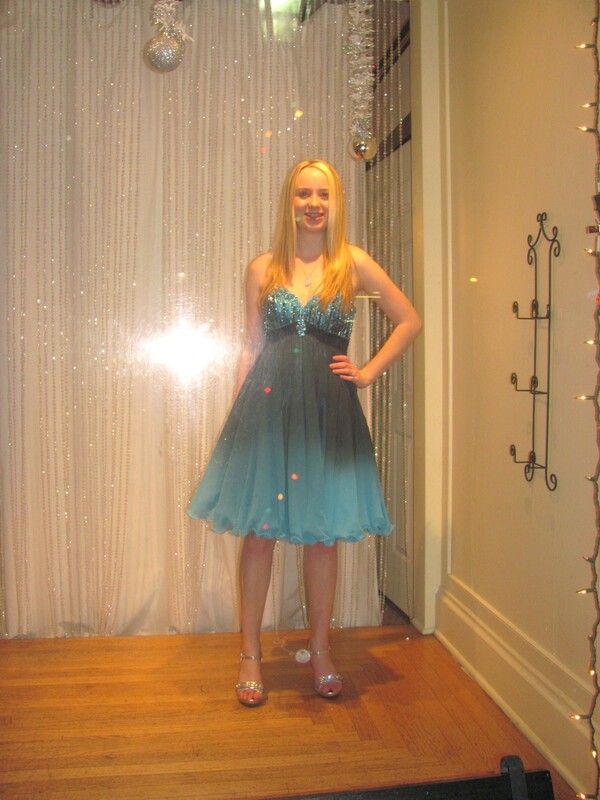 Many people gathered outside the windows of Something Blue Bridal Boutique on Tioga Street to see a collection of gowns modeled by live manikins. 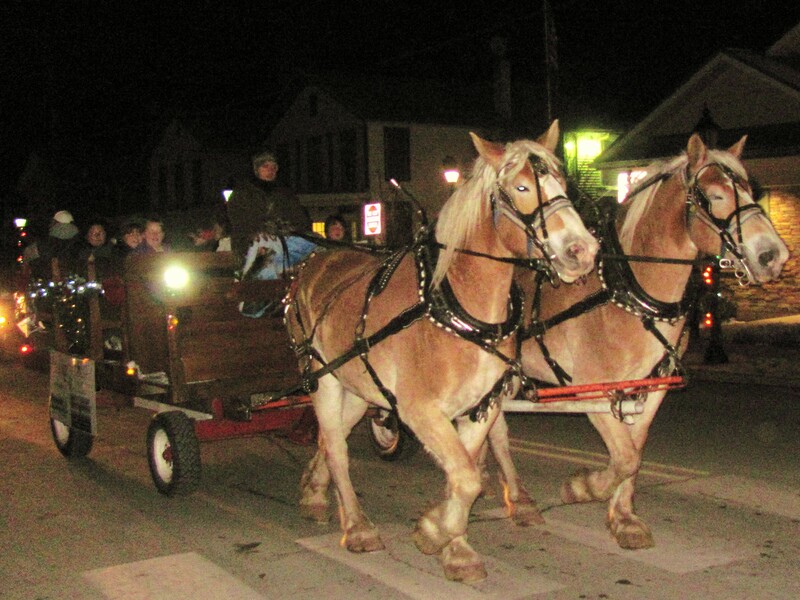 Many Christmas in Our Hometown guests took advantage of the free horse-drawn wagon rides through Tunkhannock (left), while Lackawanna Wyoming Dairy Princess Mary Beth Tranovitch and her dad, Brian, dolled out delicious chocolate chip cookies along Tioga and Bridge Streets.